Steelworker. Screenshot from Reuters' video. Major Thyssenkrupp shareholder Cevian called for further restructuring of the German conglomerate on Sunday, a day after it sealed a steel joint venture with India's Tata Steel. Activist investor Cevian is the second largest shareholder in Thyssenkrupp and, like fellow shareholder Elliott, has criticised Thyssenkrupp CEO Heinrich Hiesinger, saying there is significant room for improvement at the steel-to-submarines conglomerate. "The creation of the steel joint venture and the deconsolidation of the steel business from Thyssenkrupp is a step towards reducing the overly complex conglomerate structure," Lars Foerberg, founding partner of Cevian Capital, told Reuters in emailed comments. "There is now an urgent need and opportunity to address the significant and persistent underperformance of the industrial businesses," he said. The joint venture with Tata Steel – to be named Thyssenkrupp Tata Steel – will have around 48,000 workers and about 17 billion euros in sales. 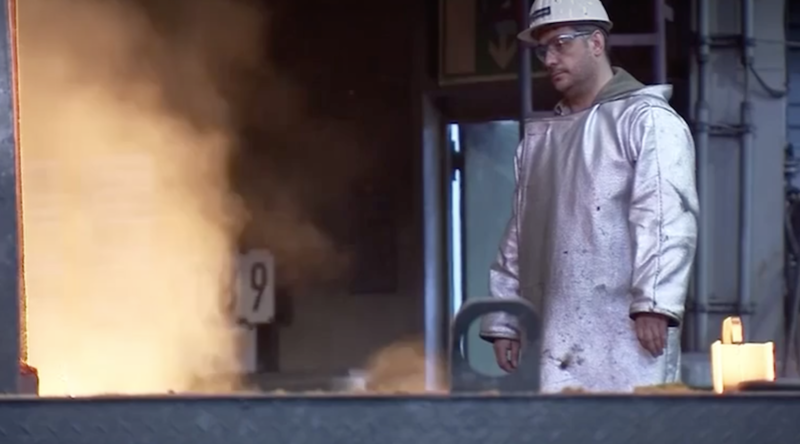 Based in the Netherlands, it will be the continent's second-largest steelmaker after ArcelorMittal. It forms the core of Hiesinger's plan to turn the steel-to-submarines conglomerate into a technology company. Foerberg said the best operating structure and ownership for each of the group's businesses now needed to be assessed and that they would only survive and prosper if they were nimble and efficient. "With the right strategic decisions and world-class execution, Thyssenkrupp could be valued at the equivalent of 50 euros per share, rather than today's 21 euros," he said. Reporting by Tom Kaeckenhoff and Christoph Steitz Writing by Victoria Bryan Editing by Louise Heavens.